Did your car break down or experience an accident in Joondanna? 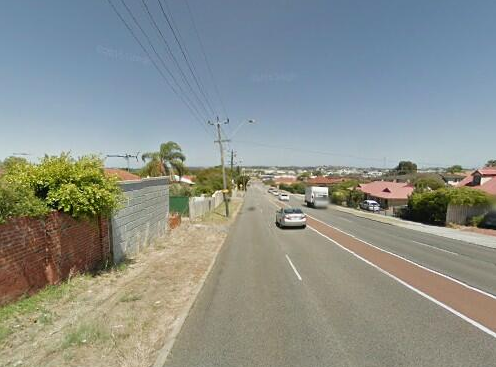 Do you have a truck in this suburb that needs to be relocated to a different address? If you had answered yes to any of these questions, Executive Towing Services can be your designated towing company. We offer a wide range of different towing services for people who’ve been in a car accident, experienced a breakdown, or just need their vehicle transported somewhere else. These are the kinds of services that we have been providing in Joondanna for several years now. Our high level of customer satisfaction is why we have been in business for so long. Therefore, if you need a tow truck to come to your location in Joondanna, send us a towing request at 0410 471 056. If you are a private guest or citizen of Joondanna and experience car trouble, you can depend on us to assist you. One phone call to Executive Towing Services is all you need to make. We have a customer support representative available to take your call. Once you tell us your location in the suburb, we will dispatch a tow truck operator there promptly. Customer satisfaction is our top priority. Executive Towing Services are always looking to develop a long-term relationship with local residents and frequent guests of Joondanna. Aside from assisting people with their damaged or disabled vehicles, we can also move expensive and custom vehicles too. Some people don’t want to take the chance of transporting such a fragile vehicle because of the risk of damage to it. When you hire us to transport your customized vehicle, you can have peace of mind knowing that our professional tow truck operators have the proper equipment and experience to safely and efficiently move your vehicle without ever getting a scratch on it. That is our guarantee to you as professional vehicle transporters. Car breakdowns and malfunctions are not always attributed to mechanical problems inside the vehicle. They can also be attributed to less severe issues like low battery power, flat tyre, and no fuel. If problems like these leave you stranded in Joondanna, you can simply request roadside assistance from Executive Towing Services. We can have a service person come out to your location in the suburb to assist you. The service person can change your tyre, give you fuel, provide a jump start, and more. A lot of towing companies do not have the proper qualifications and credentials to serve the citizens of Joondanna. Executive Towing Services is fully qualified, insured, and licenced to serve everyone in this suburb. We have been doing so for many years now and our customers have given us nothing but positive remarks on our services. We promise that we’ll deliver the same high-quality services in your time of need, whether this is roadside assistance or a tow. If you have any questions or requests to make of our company, you can call us directly at 0410 471 056. Joondanna is a inner suburb of Perth, Western Australia and is located 6kms north from the Perth central business district. The local government area is the City of Stirling and the area is mainly residential with a couple of small shops and parks or reserves.